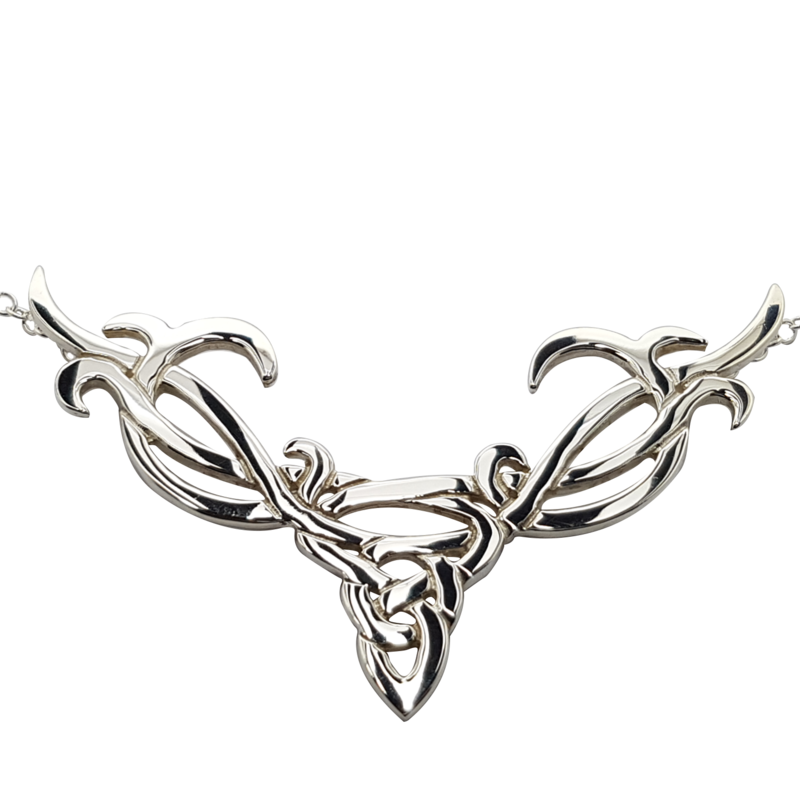 Our large Celtic stag necklet is a luxurious, chunky version of our signature design necklet. This Celtic knot-work creates the form of a powerful Scottish stag’s head. This Sterling silver open knot-work necklet is made by and exclusive to Love from Skye. It measures 88mm x 56mm and is presented on a heavy gauge trace chain which is attached to the reverse of the necklet, creating a total length of 18 inches. If you would prefer a different length or style of chain, please contact us for more details and please also see our information page. Please contact us if you wish to enquire about having this design made in gold.